Definition at line 3288 of file CCopasiXMLParser.h. Definition at line 3291 of file CCopasiXMLParser.h. Definition at line 6294 of file CCopasiXMLParser.cpp. 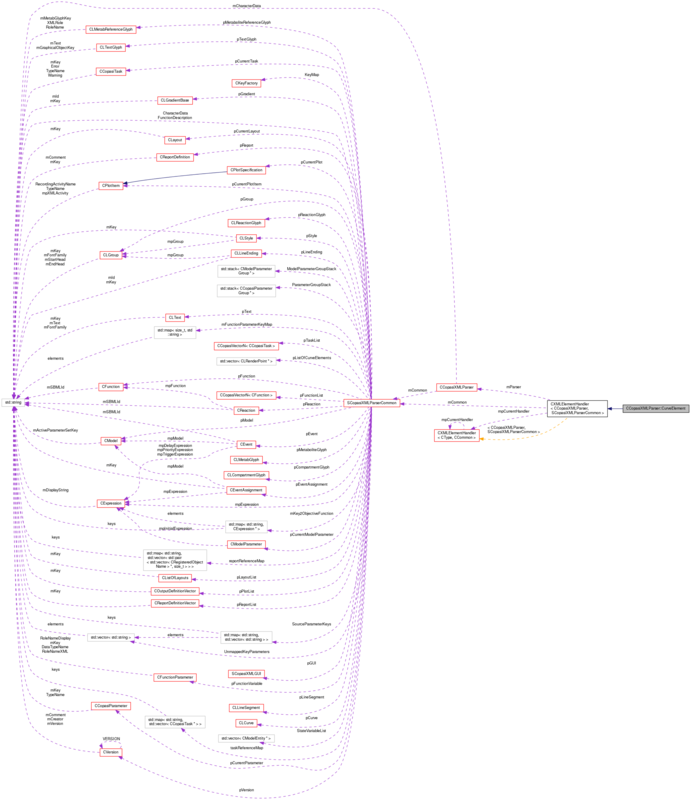 Definition at line 6299 of file CCopasiXMLParser.cpp. Definition at line 6442 of file CCopasiXMLParser.cpp. 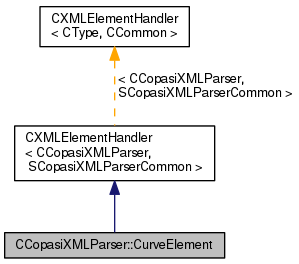 References CLCurve::addCurveSegment(), CCopasiMessage::EXCEPTION, CLLineSegment::isBezier(), CCopasiXMLParser::mCommon, MCXML, CExpatTemplate< CExpat >::mParser, SCopasiXMLParserCommon::pCurve, SCopasiXMLParserCommon::pLineSegment, and START_ELEMENT. Definition at line 6302 of file CCopasiXMLParser.cpp. References C_FLOAT64, CLCurve::clear(), CCopasiMessage::EXCEPTION, fatalError, CCopasiXMLParser::mCommon, MCXML, CExpatTemplate< CExpat >::mParser, SCopasiXMLParserCommon::pCurve, SCopasiXMLParserCommon::pLineSegment, CLLineSegment::setBase1(), CLLineSegment::setBase2(), CLLineSegment::setEnd(), CLLineSegment::setIsBezier(), CLLineSegment::setStart(), and UNKNOWN_ELEMENT. Definition at line 3302 of file CCopasiXMLParser.h.